You might have noticed a certain theme running through some of my recent blog posts. I’ve been focusing on the fundamentals of real estate appraisal; the importance of location, differentiating between price and value and so on. It’s been a kind of Appraisal 101, if you will. I’ve been doing this because there’s a danger that – particularly for more seasoned appraisers like yours truly – we tend to go on auto-pilot quite a bit. We use our intuition and our experience, rather than really stopping to think things through. It pays to take some time every now and then to just get back to basics and refresh our minds as to what’s really important in our profession. Today, in that spirit, we’re going to be talking about age. No, not your age and definitely not mine. The age of the homes that we appraise. It’s something that gets brought up a lot when you’re talking to the homeowners and we need to be able to clearly explain to them how their home’s age can affect its value. We also need to be clear in our own minds about that too, of course. When I’m talking to the homeowner, I like to confirm a few of the main details I’ve researched from the county about their home. When the topic of age gets brought up, the poor man or woman in question will frequently start to panic. “So, your home is 100 years old, right?” I’ll ask. “Well, yes, but…” and they’ll begin, “We’ve made all these improvements to it and renovated this and replaced that,” and so on and so forth. I’ll then have to calm them down and explain that the actual age isn’t that big of a deal. What’s far more important is the effective age. We must always remember that the value of a home is determined by the buyer’s perspective. Generally speaking, they’re vastly more concerned with appearance and effective age, than technical age. Sometimes, the listed age of a property that we receive can be absolutely irrelevant. Let me give you an example. Recently, I headed out to inspect a home here in Idaho that was 110 years old. “110 years old? Big deal!” I hear you East Coast appraisers saying. Well, fair enough, but homes that old are far less common out west. I got to the address, pulled up, got out of my car… and realized I must’ve come to the wrong place. The county had informed me the home was over a century old, but the property in front of me couldn’t have been older than a decade. I spoke to the homeowner and they explained that the original home had been built at that time, but that there’d been a big fire. Almost all of the foundations had subsequently been torn out, except for a 10×10 section below the kitchen. Due to the county rules, they had to keep the property’s actual age as 110 years – just because of that tiny section below the kitchen – even though the rest of the home was barely 10 years old. To all extents and purposes it was a brand new home, but I obviously ended up putting the effective age at much, much less than 110. One of the most frequent questions we get as appraisers is, “How do I improve the value of my home?” Invariably, the most effective ways tend to involve relative age and making your house look younger. 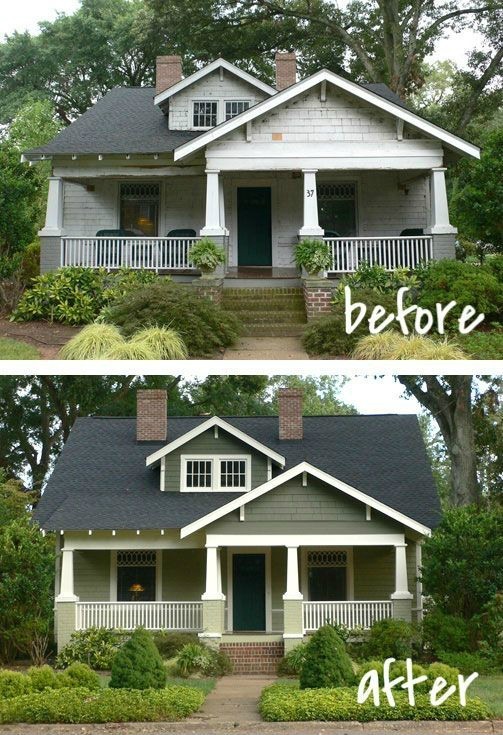 If you can take 10, even 15 years off the appearance of your house, you’re doing yourself a huge favor. Just telling homeowners to “make your home look younger” isn’t enough, however. We also need to make them aware that they shouldn’t do so at the expense of fitting in to the neighborhood norm. As real estate appraisers, one of the most important roles we serve is to aid the homeowners in understanding the selling process and our evaluation of their property. The age of their property is a huge part of their valuation, but it’s not immediately obvious how and why. We must help convey to them – and keep in mind ourselves, of course – that the actual age of a property is not a big deal. The effective age is way more important. I suppose it can get complicated a bit. A 100 year home has likely been updated numerous times. A 30 year home has likely been updated once or not at all. Lets say each of them are updated to a current condition of (using mortgage ratings here) of C3. So you would have a 100 year C3 and a 30 year C3 – are these similar in effective age? Probably not, but maybe. This is why in all cases the identification of the subject is vital, and the analysis of comps is too. Maybe that 100 year C2 is every bit as sound and ready to go as that 2 year old C2 – then again, maybe not. This subject plays on the fact that anytime one element of value is singled out as the only element of comparison the risk of a weaker appraisal increases. The current climate of mortgage work is hellbent on supporting individual adjustments/elements when that is really the worst way to approach an analysis of a subject property and properties comparable. The best way would be to analyze a property as a typical buyer would, which is as a whole, not a sum of individual elements. Never once have I seen a buyer out there with a clipboard assigning rates to elements, calculating the values, then adding them up to arrive at an offering – I doubt this is done subconsciously either.